KIM US Envoy travels to N Korea to prep for Trump-Kim Summit: State Dept. 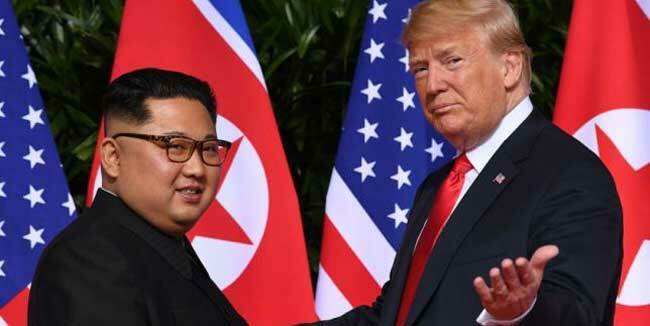 Washington, Feb 5 (Sputnik) US Special Representative for North Korea Stephen Biegun will travel to Pyongyang on February 6 for talks to prepare for the second summit between President Donald Trump and North Korean Leader Kim Jong Un, the State Department said in a press release. "Biegun will travel to Pyongyang on February 6 for meetings with his DPRK counterpart Kim Hyok Chol to prepare for the President''s second summit with Chairman Kim and advance further progress on the commitments the President and Chairman Kim made in Singapore: complete denuclearization, transforming U.S.-DPRK relations, and building a lasting peace on the Korean Peninsula," the release said on Monday.